TOP 10 REASONS FOR ENTERPRISE TO CHOOSE MICROSOFT OFFICE 365! Increasing business agility, having latest technology and supporting mobile workers are the major reasons for enterprises considering their cloud productivity. The foresaid reasons allow enterprises to concentrate on the core operations. Microsoft Office 365 in actual is a solution provider. It offers trust of business capabilities such as email, calendar, collaboration, skype for business to keep the business employee work in an organized manner and at every corner. When rummaging through the qualities of enterprise grade Microsoft Office 365, it is particularly designed to meet important requirement of reliability, manageability, security and privacy. Microsoft Office 365 offers a collaborative productivity solution through Microsoft Share Point, Microsoft Lync and Microsoft Exchange Online. Below are the 10 reasons for enterprise to choose Microsoft office 365! Office 365 makes sure to keep its customer’s data safe. Microsoft offers an enrich solutions with enterprise software and services to pave pathway for the organization to meet enterprise objectives. What makes Microsoft Office 365 Secure? Information supplied by the customers are only used to provide better services to the users rather than taking out information for the advertising purpose. It clearly separates consumer and business needs. The Office users are aware about the conditions where the data shall be used and who has the authority to access it. Office 365 enterprise package offer strong policies and security features giving customers full control on setting it security. It works with Information Right Management where customers have the right to prevent document sharing, printing, editing and manage the overall content. With International Traffic in Arms Regulation (ITAR) Support it permits agencies with highest level of data isolation. Release strong password policy including complexity, length and aging combining with lower case and upper case with the system of account lock when continuously feeding wrong password. It has successfully released seamless integration with multi factor authentication system. Gives full accessibility to the users under any network. All the compliance formulated by Microsoft Office 365 is framed under an international standard certified by independent auditors. The compliance consists of re-discovering tool, integrated archiving, making organization comply with every requirement within a single infrastructure. Email retention and document managing capabilities to meet customer requirements. Office 365 comply and meets SSAE 16 SOC audit standards. Office 365 receives moderate level of authority to operate. Office users can work even if they have no network connectivity. The users can access with their official work even on the offline mode and can fully access the Active Directory address book, go through email, set meeting invites, use rich text format to compose email. Microsoft Office 365 is powered by Exchange Online, Lync Online and Share Point Online. It aims to offer work productivity through creation, collaboration and communication. Users can share their work through Share Point. Looking at the calendar, they can fix meetings or group calls. While switching from Office desktop to Office Web Apps file fidelity can be preserved. This allows professional enhancement along with employee productivity. Features present in Microsoft Office 365 is supported by SLA and enterprise support. Reduce productivity cost and productivity disruption. Easy uploading and sharing of documents through Share Point and Lync Online. Outlook UI experience from desktop client version. While switching to cloud solution customers can either wholly or partially shift their work to cloud. With Office 365 customers can choose between an on-premise solution or pure cloud environment. Office 365 is the only software which offers on premise, cloud and hybrid solution. It complies, meet and deploy operational requirement for any enterprise. Smoothly manages online environments and on premises work with the help of unified administrative tools. Delivers seamless user experience to the online users. No enterprise would opt for software which declines their productivity level and which offer no guarantee. Office 365 is built for release reliability, availability and performance. Microsoft is the only cloud service provider which offer Financially Backed Service Level Agreement (SLA) when it drops by 99.99 per cent. SLA offered by Office 365 is applicable to every service of Office 365. It covers every component and users. Dashboard of office 365 gives customer updated visibility report. Before making any significant changes on Office 365, Microsoft makes sure to inform each user so that they can plan progressively. Microsoft allows the users to understand the standardized vision and innovation of every enterprise. There is no hidden cost when availing for Office 365. 12-month notice is given to the users in case there is any significant change. Office 365 is updated regularly. The customer gets the flexibility to changed services. Customer Service is a must. No customer would want to hear excuse when they need support. Office 365 Enterprise plan delivers immediate customer support for every individual user’s. It offers highest Maintenance and Support to the clients. The issues first try to get resolved by the support staff. But if it gets complicated then, it is transferred to the higher tier. Community forums are created to resolve customers immediate problems. Cloud Vantage and Professional Direct of Microsoft provide consistent assistance. Enterprises today, seek for more consistency in their work procedure. They look out for Software’s which offer more features and which would assist them in inclining their productivity level. Microsoft Office 365 has it all. 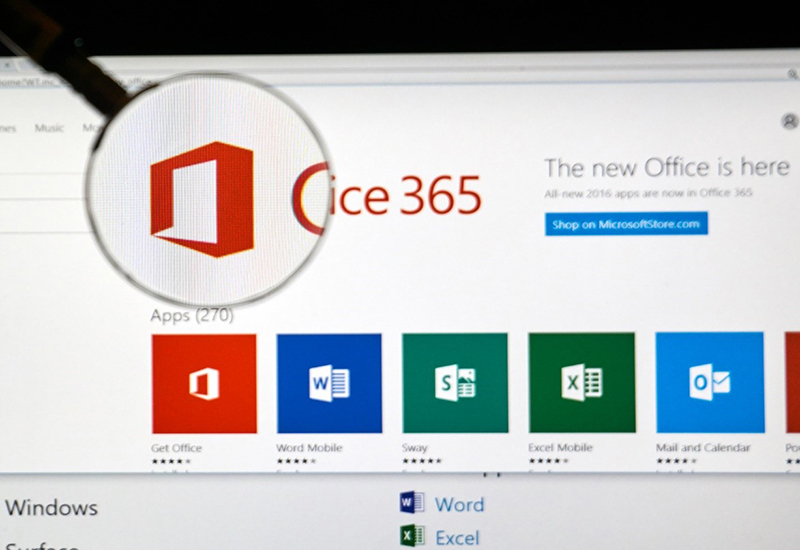 Enterprises seeking modular yet compatible options can go for Microsoft Office 365. MY TECH SHOP offers Enterprise Microsoft Office 365 plan at a reasonable price. They also offer training programmes to the organization, so that the employees can make maximum use of the software.